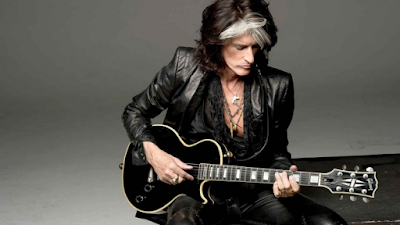 Aerosmith guitarist Joe Perry was rushed to the hospital Saturday night following a guest appearance with Billy Joel in New York City. According to TMZ, the 68-year-old Boston rocker had just finished performing his band’s 1975 classic, “Walk This Way”, with Joel at Madison Square Garden when he collapsed in his dressing room. Paramedics worked on Perry for around 40 minutes – including putting a tracheal tube down his throat to clear the airway – and gave him oxygen before removing him from the venue on a stretcher and rushing him to hospital. One eyewitness told TMZ that the guitarist "looked terrible" and that there was panic in the dressing room. While there’s been no official statement from Perry’s or Aerosmith’s camp regarding the situation at press time, sources connected to the rocker tell TMZ that he's been having "breathing issues for the last few weeks and it came to a head last night" and that it involves congestion in the lungs. Sources say the guitarist remained in hospital overnight and that he's awake, doing well and could be released as early as Sunday afternoon. Perry previously collapsed offstage during a Hollywood Vampires show in Coney Island, NY in July of 2016; he reportedly lost consciousness and went into cardiac arrest with police on the scene reviving him before being hospitalized and missing five shows by the group.